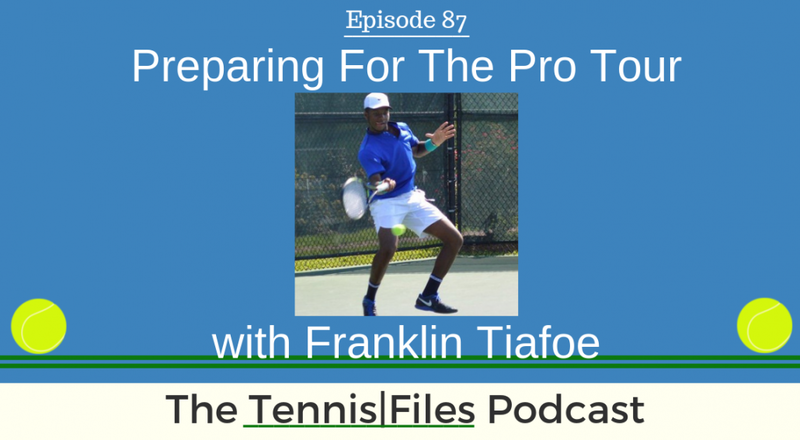 On Episode 87 of The Tennis Files Podcast, I spoke with Franklin Tiafoe about his tennis career and close relationship with his brother and top 35 ranked pro Frances Tiafoe. I first met Franklin at the Citi Open player party last summer and am really glad he made time to speak with me on the podcast! Franklin played #1 singles and doubles at DeMatha High School in Maryland, my homestate! He is currently training with a private coach at the USTA National Tennis Center in Orlando, Florida to prepare for Men's Opens and eventually pro tournaments. The younger of the two brothers, Franklin has an extremely close relationship with Frances, and when they are not on the road together (which is the norm these days), the Tiafoe brothers Facetime, live stream, or whatever the cool kids call it these days, to keep their relationship strong and pick each other up during tougher moments in their careers. On this episode, we discuss Franklin's journey from a young junior player at the Junior Tennis Champions Center in College Park, to his training sessions at the USTA National Tennis Center, his plans for making a run on the pro tour, how his brother Frances was able to reach the Quarterfinals of the Australian Open, their biggest influences growing up, key tips to improve your tennis game, and many other interesting topics that you won't want to miss! I really hope you enjoy my interview with Franklin! Let us know what you think about this episode in the comments below! A key tip to improve your tennis game.....and much more! Note: Some of the links above are affiliate links, so if you make a purchase after clicking, I'll make a small commission that will help support the podcast. Thanks either way! For more tips on how to improve your tennis fitness, subscribe to my newsletter and download a free copy of my free eBook, The Building Blocks of Tennis Success below! Thanks for listening!